It’s been a little while since I checked in, so I figured—what better time than with my guys bound for the Eastern Conference Finals? It’s been quite a ride, and we’re not done yet. I know everybody is curious about where things stand with my rehab. It’s all been going really well. I’m happy to report I’m feeling like an athlete again. I’ve been in Indianapolis for the last couple weeks making some really good progress. I leave the hotel every morning at about 9:30 am and don’t get back til about 6 pm. We do a lot of running mechanics, physical therapy, a lift of some sort, and then court work for another few hours. It’s a full day, every day. I’m definitely moving along as planned, and progressing really well. But for this entry, I want to talk about our team, and how proud of and happy for them I am. Nobody really gave us a chance to be where we are right now: in the Eastern Conference Finals, four wins from playing for a championship. I’m so excited for and proud of this team for the poise they’ve all shown in these playoffs (Getty Images). We had so many injuries throughout the season. Obviously, I went down early. Then Kyrie went down. Different guys were in and out of the lineup. We still found ways to win—well enough to get the No. 2 seed. Of course, the sentiment was similar the entire season after I went down early in the year. Our guys knew different then, and played with a chip on their shoulder all year. I could feel that confidence in the guys when I was around them. They felt the same way when the playoffs started. They believed they should be making a deep run. They felt like we could be right here—where we are. A lot of that confidence comes from Coach Stevens. He has this way of instilling it in you. He allows guys to play loose and play free. Not to the point where they’re just out there freestyling and playing crazy. But loose as in the confidence to just go out there and hoop. He puts guys in positions to be successful. He doesn’t ask too much of anyone. He knows what each of his players does well, and utilizes each guy’s strengths. That’s what he’s really good at. 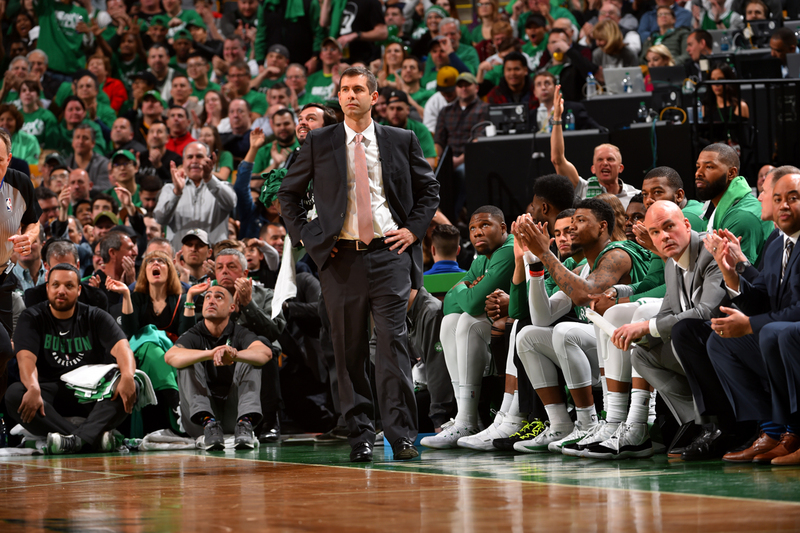 Coach Stevens has this way of instilling confidence in his players and it helps him get the most out of each guy (Getty Images). One of the biggest keys in the modern NBA, especially offensively, is spacing, and not getting in each other’s way. 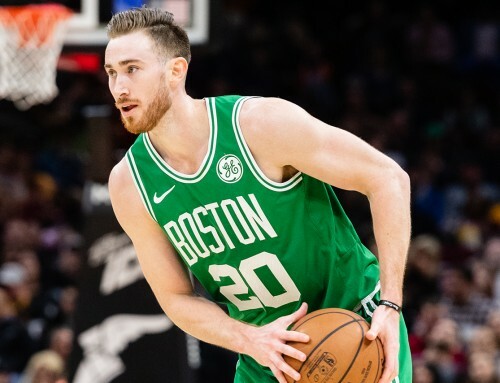 His system gives each guy an opportunity to do what they do well so that they can make plays for themselves, or create opportunities for teammates. He does a good job of making adjustments, and if he sees somebody struggling, he’s not afraid to put somebody else in and see what they’ve got, give that guy a boost and let him get some run. One side note: His famous out of bounds plays — that’s not a new thing. When we were at Butler, his out of bounds plays—that stuff he draws up out of a timeout—was the stuff of legend. I remember practicing them. At the end of practice, he’d call us over and draw up a play. Then he’d sit there and tell every one of us where to be, where to go, how the defense would react and then how to execute. And every time we ran the play, that was exactly what happened. And it would play out exactly how he said it would. Every time. So when I see it work to this day in the NBA—especially now with the national attention being given to those type of plays he draws up—it just makes me smile. It’s something I’ve known all along. Brad’s ATOs have been the stuff of legend since I was with him at Butler, so to see them continue to work just makes me smile (Getty Images). A big part of his success is that he’s so intelligent. Before he was a coach, he was at Eli Lilly, a huge company in Indianapolis, a really good place to be in the business world. Then he just decided he wanted to coach basketball instead. Sometimes, there are guys that are like that. Quin Snyder was the same way. Brad’s such a smart guy that he would be successful at anything that he wanted to do. That’s why he’s able to be one or even two steps ahead of the defense. Somehow he knows if they’re going to switch or not going to switch, how they’re going to guard different things. He reads it all, and analyzes it really fast. I believe a lot of that is preparation. Going into the game, he knows that if we get into a given situation, these are the plays he’s going to run because he knows what the other team is going to do. Brad’s also extremely diligent, a very hard worker. He gets the job done before the game even happens. That’s why I think he was able to transition from college to the NBA so smoothly. In my opinion—and I don’t think I’m alone in this—he’s definitely one of the best coaches in the league. Each of the guys on the team seems to have contributed in their own way over the first two series wins. 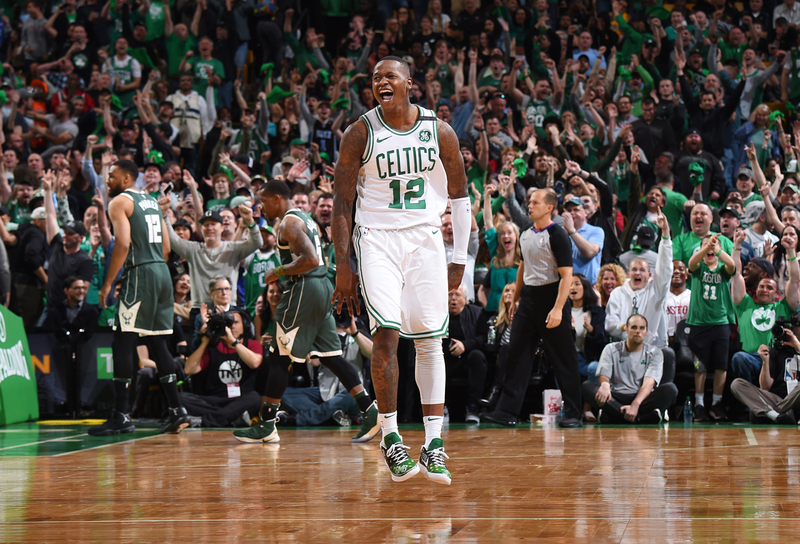 Terry Rozier has just been unbelievable in Kyrie’s absence. It’s shocked a lot of people. But I kind of saw something special in him as soon as I got on the court with him, last September during open gym, scrimmaging before training camp. His success is born out of opportunity, as it is with most guys in the NBA. Kyrie goes down, and all of a sudden he’s got the ball in his hands. He’s playing bigger minutes, and he’s expected to do more things. He has way more responsibility. But it’s what you do with that opportunity that sets guys apart. Obviously, he’s run with it. He’s driven by self-confidence. He’s had enough big moments in big games to build confidence in himself. That’s a huge thing in this league. When you feel like you belong and that you’re the best the player on the court, you’re going to play a lot better. When a guy is playing with confidence and shooting the ball the way T-Ro is, he’s nearly impossible to stop (Getty Images). The thing that stands out most is Terry’s athleticism. He has dynamic speed and handles, and this innate ability to get to the rim. But what he’s added to complement those things—with his shooting from deep—has taken his game to another level. That’s the number one reason he’s having the success he’s having. 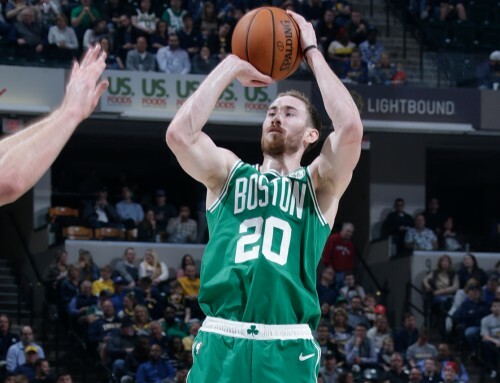 If he wasn’t shooting the three the way he has been, he’d be way less effective, especially in the playoffs where they can pack it in and really take away your strength, which for him is his ability to get into the lane and create for himself. But the way he’s shooting the ball, he almost becomes unguardable. Because when you can do both, you’re basically telling a defense to pick their poison. Jaylen Brown is another guy who, if he’s shooting the ball well, the game completely changes. The thing that he’s best at is getting to the rim because he’s quick and explosive when he goes by you. With that in mind, you want to give him a little space as a defender. So if he’s able to hit the three with any consistency, he becomes a totally different player. He’s done that. He played extremely well in the first round, shooting and scoring the basketball. Then he played through the hamstring injury and made big plays in the Philly series. You have to give him a lot of credit. We have a lot of positional versatility, and can beat teams in a lot of different ways. That’s what our offense and our team has been about all season. That’s what makes us dangerous, and it’s what had me excited at the beginning of the year. I think it’s made it easier on some of our younger guys. They’ve been able to transition and guard different guys depending on who we have out on the floor because everyone is so versatile. The more you can do for your team, the better chance you’ll have to help your team win. It makes some of the matchups a little bit more manageable. Just look at Al Horford and the niche he’s carved out. There’s not enough you can say about what he’s meant to the team. He’s not a guy who will usually fill up the stat sheet from a points perspective, but he’ll give you what you need, whatever that is. In the first round, we needed him to score and he led the team in scoring, played extremely well and led us to victory in that series. The Bucks didn’t really have a guy that could guard him, and he took advantage of that. When it’s crunch time and the game is tight, Al usually finds a way to make a play. You throw the ball to him in the post and he either makes a shot or finds the right man. The guys lean on him for sure, as the veteran guy with the experience that we need him to be. He provided some of that glue to hold the team together. There was a lot of turnover on the roster from last year to this year, and obviously there’s been a steady flow of guys in and out with the injuries this year, but he’s been the rock, and that’s despite only being with the team for one year more than some of us. Al just wants to win. He doesn’t care if he’s scoring 40 points or if he’s scoring five points, as long as we win. That’s the top quality of a so-called glue guy: doing whatever their team needs them to do to win. 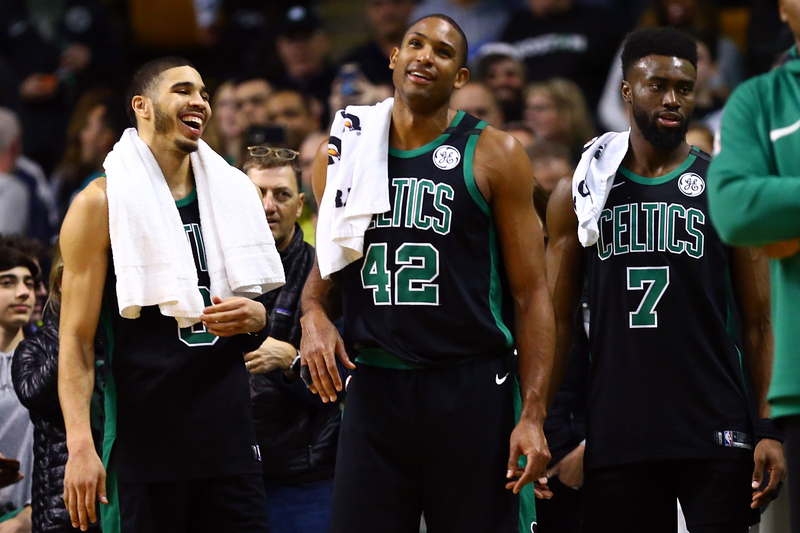 Al Horford has held the team together with his selfless attitude and it has rubbed off on the younger guys (Getty Images). That attitude is contagious. It rubs off on a young guy like Jayson Tatum, who has been so good these last several games in the postseason. He’s just 20 years old and has had kind of a baptism by fire here this season and in these playoffs. He’s adjusted well to everything thrown at him. One thing Jayson’s doing a really good job of is attacking his defenders, and finding the matchup that he wants to exploit. That’s a hard thing to learn, and he’s already picked it up. He’s a matchup nightmare and he knows it, so he uses his strengths. He’s big enough and good enough in the post that he can take advantage of smaller guys—like he did whenever Eric Bledsoe or J.J. Redick was guarding him—and shoot over them. With a bigger guy like Joel Embiid, he can take him outside, and go around him and get to the cup. He’s got almost no holes in his game, and can do just about anything. It’s surprising to see at such a young age and very impressive. There aren’t a lot of guys that can say that. Some of it is certainly physical. He’s naturally gifted. He has the build to do it all. He’s big and long, and every bit of the 6-8 that they list him at. But you also see the hard work and the time that he’s put in to fill in those holes that he might have had. He can move, and he can handle the basketball. When they first get into the league, most guys can shoot it or they can drive it. He can already do both, and that shows that he’s put in a lot of hard work. So we have these really talented young guys, and we have our veteran role players. It’s a nice balance. Everybody just making huge plays for the team. 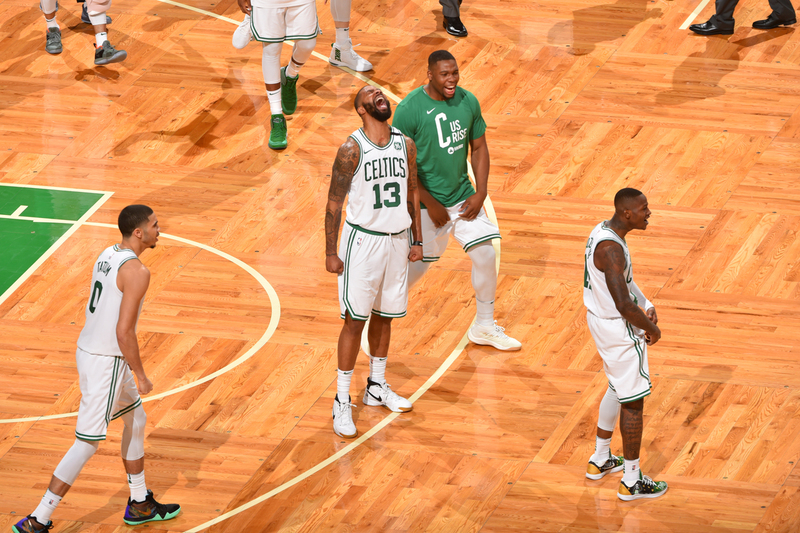 You look at Marcus Morris, and he’s been asked to do so many different things: playing the three, four or five for us, coming off the bench or starting. He’s become a real shot-maker for us, and a guy who can get us a timely bucket during this run. We’ve relied on him throughout the season to bail us out, and he’s played really well. It’s tough to come off the bench and be expected to just go get a bucket right away, but he’s done it time and again. Every guy on the roster has a role and embraces it, and that allows us to be successful (Getty Images). Marcus Smart is the guy who makes the dirty plays, the hustle plays—honestly, game-winning plays is what they should be called. You saw it in Game 5 the other night. His defense and energy are things the team definitely needs. He’s also a good playmaker for us and can really set people up to be successful. So when Shane went down, he was able to step in as the backup point guard in a closeout game. 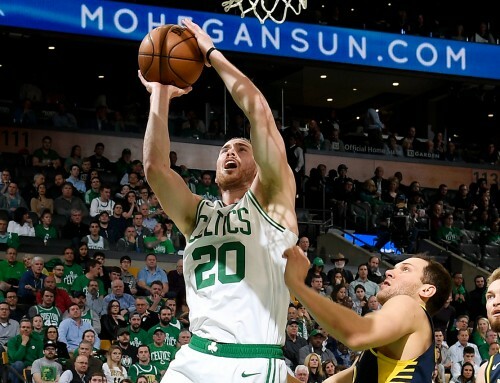 And while we’re on the subject of Game 5, how about Aron Baynes? Like Marcus Smart, he makes a lot of plays that don’t necessarily show up on the stat sheet. He’s been our bruiser down there, especially against Embiid. Any time he’s gone up against a big-time center it seems like he raises his game and plays really well. He’s even stepped out and hit a few threes. He’s been in and out of the starting lineup, and proven to be another selfless guy that this team needs to be successful. These guys all sacrifice—whether it be their bodies, their playing time—for the good of the team. That’s the type of people they are. 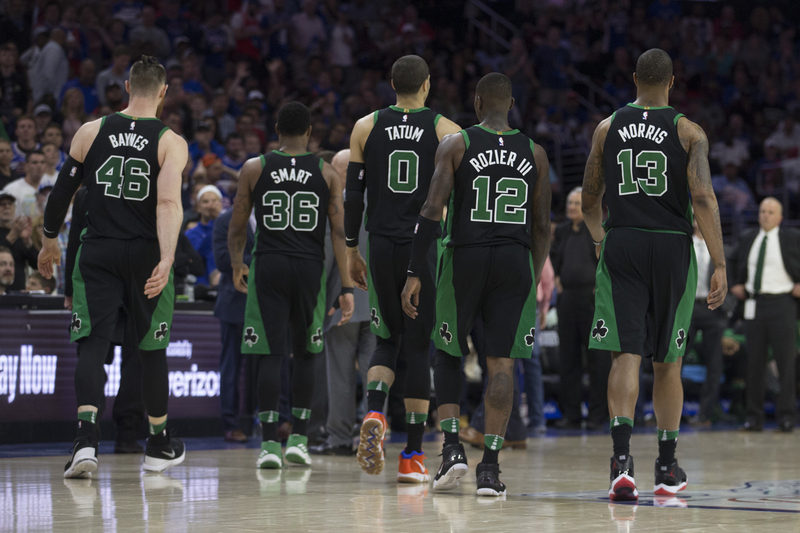 They want to help the team win, and they’ve all bought into the system that we have, where depending on matchups and the night, any one of them could be starting or coming off the bench. They embrace those roles. That’s the beauty of our team. Ultimately I think going seven games in that first round series with Milwaukee helped the team. Some of our guys entered these playoffs with little to no postseason experience, and it was their first playoff series where they’re playing heavy starter minutes, a little longer than you would in the regular season. It’s also definitely more physical in the postseason. That’s not an instant adjustment that you can necessarily make. But our guys handled it well. Getting that first tough seven-game series out of the way was a great opportunity, and of course, winning it made it that much better. It was a battle, but going 7 games with the Bucks, and winning, only made the team stronger (Getty Images). Until you become a veteran of the postseason, which not a lot of guys are, I think the playoffs are one big learning experience. You have to feel it out, and understand what it’s like to play at home in the playoffs, and how different it is on the road. You saw that we didn’t win a road game in that first round series, then went right into Philly and won a huge Game 3 in Round 2. 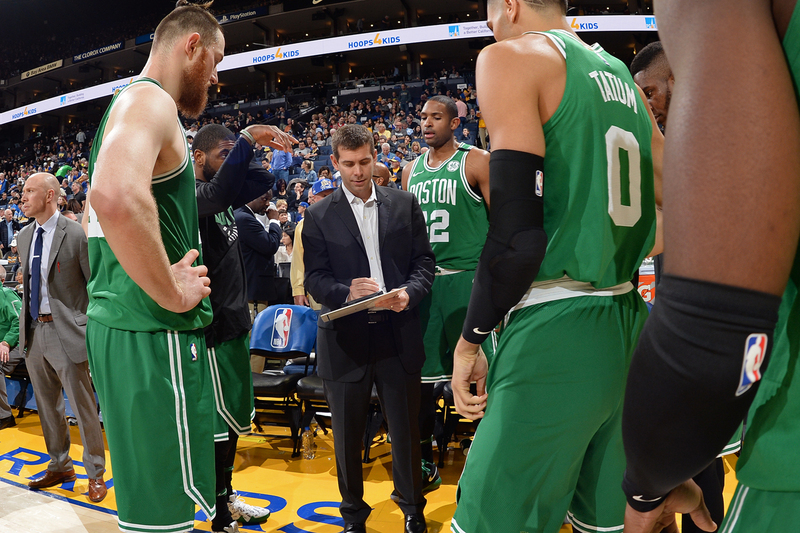 Coach Stevens and his staff are doing a really good job with strategy in each series. They had a really solid game plan for attacking Philadelphia. The 76ers had been playing really well going into that series, for the last two months really, especially on offense. But our guys executed the defensive game plan and really bottled them up for a few games there to get control of the series. Offensively, we had some guys step up and make plays, but the defense is what wins it with this team, and Coach Stevens always has great defensive plans. As I wrote earlier, he’s got that cerebral mind. When you give him some time to think and plan for something, that’s where you have to watch out. To be able to close it out on the home floor again was great, too. That place is rocking at home during the postseason. I’ve only had a chance to go to one of the home games so far because I’ve been grinding out rehab in Indianapolis. But when I was there, that place was loud. The fans are really bringing energy for our guys, and I know they feed off of it. Basketball is a game of runs, and in the playoffs, if you can shorten their run and lengthen yours, you’ll be in good shape. So at home, when the fans get loud, you can feel the momentum and feel the energy, and it really helps our guys. Taking down Cleveland is definitely going to be a challenge for us. I believe we’re capable of it. It’s going to take a complete team effort. We’re going to have to get scoring from multiple different guys. We’re going to have to execute defensively. But that’s exactly what we’ve done all postseason long. It’s what this team is about. We’re relying on every guy, not just one. That’s one of our biggest strengths. We can attack matchups based on how they’re guarding us, and we have the personnel to do that. 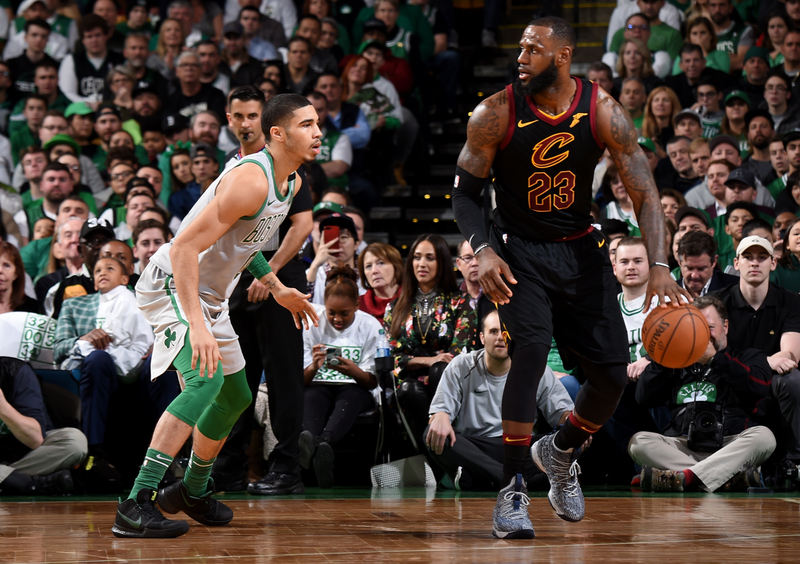 LeBron has been incredible this postseason, but we’re going to throw different looks at him and keep him guessing (Getty Images). Thankfully, we have a lot of guys we can throw at LeBron and try to slow him down. He is playing at a ridiculous level right now. It’s unbelievable that he’s in Year 15, and he’s still playing like this. I’ve been doing this blog for several seasons now, and come playoff time, I always end up writing about LeBron and whether he can carry his team. Year after year, he carries his team. You’re not going to stop him. But we have to do whatever we can to slow him down a little bit. We can’t let him dictate the series. The Cavs are really dangerous when Kevin Love plays well, when George Hill plays well, when some of their other guys play well. It takes some of the pressure off LeBron, and he doesn’t have to do quite as much. It seems like some of those other guys are getting hot, and they’re playing really well right now as a team, not just LeBron. They’re rolling right now, and peaking at the right time. But I have no doubt that we can beat them. We’ve shown throughout the year that we can beat anybody in the league on any given night. We’re going to have to play extremely well to beat them four times. But we can do it. And I believe that we will. Yeah but G, we want an update on #haywatch!! We know the C’s can ball, we just want to see you out there with them! You’re the man, Gordon! Thanks for the update. I know this team won’t give up anything easy. Great article Gordon! I believe in my Celtics and I think GMB Chum will deliver banner #18!!! Always appreciated your heart! Playing another sport gives you an in depth perspective and humility that will be a plus in the “Green” be sure to visit my home town. I think the HOF is there! It gives you a greater perspective on who we are! I have number 6, and 34! I think JT will honor Chief’s 0, Brown brings 7 forward, Kyrie looks to keep the double digit tradition going. Make 8 great! We are honored to cheer for ya! So bring it! 20 is not that far away! Great article. Thanks for sharing your insights on the team. This Cleveland series is going to be challenging, but I know you guys have what it takes to get the upset. Truly a great post. This whole season was unexpected..but yet expected. 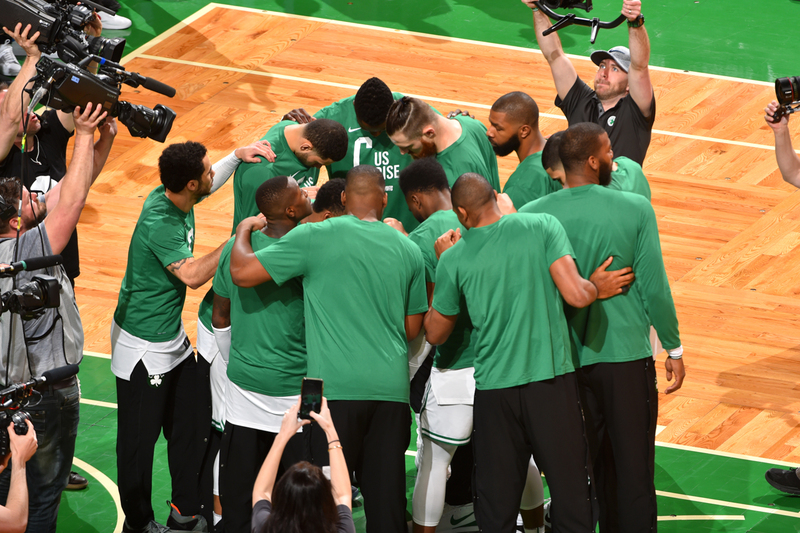 Being a Celtic fan is being able to witness, learn, and encourage a team full of leaders with one goal: overcoming any and every obstacle in their way and winning in this league together ☘️ We’re so grateful you chose to come here and we’re all looking forward to cheering you on for seasons to come! Take care for now G! Just know us fans, the city, and most importantly the team will always be rooting for you! You are a future champion. You are such an inspiration, Gordon. Keep progressing and getting better can’t wait to see you on the court next year! Can’t wait to have you back next season! Great piece you have there. Excited for the guys this upcoming series. High hopes for your speedy recovery. Next year will be a blast with everyone healthy. God Bless! Celtic for Life! Great post as usual. Ojeleye did a great job on Giannis in round 1. Do you think he can guard Lebron as well? The way you handle your injury, the way you support your guys, you’re an inspiration. A true class act and I can’t wait to see your return. Really enjoyed reading this, great breakdown. So good to hear about your progress, we can’t wait to see you back out there G! Can’t wait to see you back on the court! 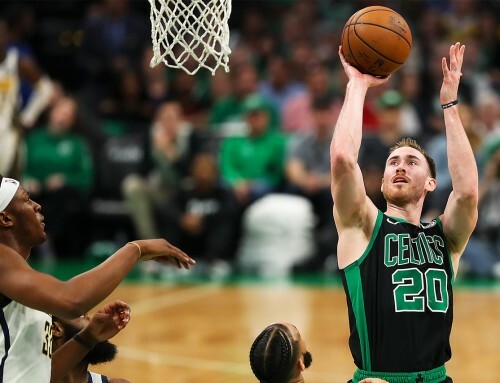 I have a Celtics #20 t-shirt hanging on an individual hook in my closet. I will be at your first home game, ready to go nuts in the introductions! This Celtics team is so exciting and I hope they can get past Cleveland and make it to the Finals. Great to hear that you are doing so well in your recovery, and I can’t wait to see you back with the team next season, it’s going to be so exciting! 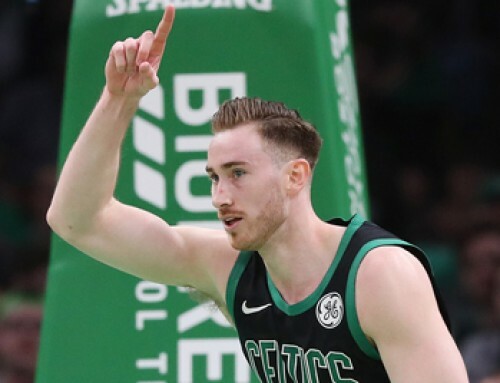 I wish you much continued success on your road to full recovery, and CUsRise!! I believe in this team. Spirit and guts. Go Celtics! So glad to hear your recovery is going well… we can’t wait until you are back in the lineup! Starting 5 of you, Kyrie, Tatum, Brown and Big Al is going to be ridiculous especially with the proven depth on the bench! I expect multiple banners & a true rival to Golden State! Great stuff … Gordon hope your doing well and enjoy life.. Let’s have a great season with you back… So looking forward to it. Best Always! !